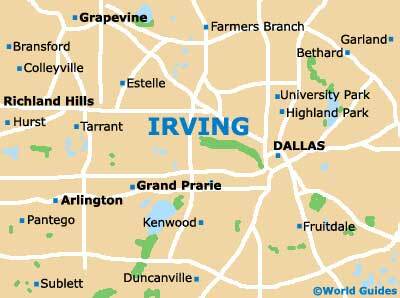 Irving contains many impressive golf courses, links and country clubs. With attractive scenery, sensibly-priced golfing fees and excellent facilities, Irving's golf courses can be busy and many accept advance reservations. Basic dresscodes may be required at some of Irving's golf courses. Many further golf courses are located just a short trip from Irving, in surrounding towns and nearby cities. The Four Seasons Resort is a particular golf resort in the Irving area and comprises two separate 18-hole golf courses, the Cottonwood Valley Course and the TPC Course. Both golf courses contain their own individual characters and set of challenges, and although the golfing fees are fairly expensive, the facilities are superb. The golf courses only open to club members of hotel guests. Irving's Hackberry Creek Country Club contains an 18-hole private golf course, with spacious greens, water features and natural hazards. This golf club operates a reciprocal guest policy. The Las Colinas Country Club dates back to the 1960s and offers 18 holes, with tree-lined fairways and heavily planted areas. Other attractions at Irving's Las Colinas Country Club include affordable golfing fees and scenic views of the surrounding area. Visitors who fancy practicing their swing can head for Twin Wells, an 18-hole municipal, public golf course set amid the greenery of Twin Wells Park. The course has a club house where players can relax and obtain refreshments before or after a game. Offering inexpensive green fees, a natural creek hazard and views of nearby Dallas, the Twin Wells Municipal Golf Course has a golf par of 72.